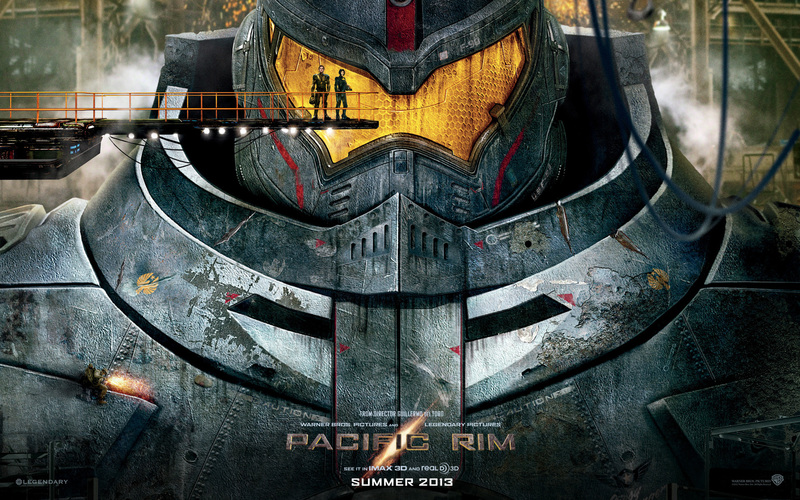 Who was the genius who decided to give the main robot in Pacific Rim the name “Nygger Danger”? Did that catch your attention? I hope it did, and I apologize if it offended, but I really want to make a point here, and it’s an important one. The main robot doesn’t have that name. It’s called “Gipsy Danger.” I cringed the moment I heard the name, hoping I’d misheard it. But they said it often enough and flashed it on the screen enough that I quickly knew there was no mistake. Folks, “Gypsy” is a racial slur. It’s still a racial slur if you spell it with an “i”–especially when you’re talking about a movie, where pronunciation is really all that matters. In America at least, I think a lot of us like to think of ourselves as enlightened. We try not to discriminate against other people. We try to be understanding of what they want, what their worldview is. We go out of our way to make laws that level the playing field. In light of the George Zimmerman trial, clearly this is something we’re working our way through still–but the goal is there. The ideal. Which is why I continue to be appalled that Americans have no problem throwing around the g-word like it’s no big deal. Do we only care about minorities if they’re a big enough group? Isn’t that kind of the whole point of watching out for minorities? Because their voice gets drowned out? This right here? This is the problem. Because it’s 100% wrong, but it just shows how ignorant Americans are of the problem. Do me a favor and read this article to become better informed. And that’s just about the experience of Roma in America. Don’t get me started on what they face in Europe, although I can give you a brief example from my own experience. You all know I wrote the book VODNIK. It’s YA fantasy that takes place in Slovakia and is based on Slovak folklore. Its main character happens to be 1/4 Roma. He moves to Slovakia and discovers just how real the racism is against Roma in Europe. But that’s not what the book is about. It’s a YA fantasy/adventure, and the main character happens to be Roma. My agent has been shopping it around European publishers. They’re all interested in the book–until they find out the main character is part Roma. It’s a deal breaker, it seems. As soon as they hear that, they lose all interest. Publishing this book in Europe would be like publishing a book about an African American in the deep south fifty or a hundred years ago. Roma are literally ghettoized. They are beaten and killed, and it’s happening today. Now. Not fifty years ago. In such obscure places like France–that’s an article that was published a month ago. Gypsy is a racial slur. Fact. It’s used against a group of people so marginalized in America that Americans are convinced they’re make believe. They’re just a made up fantasy, and arguing for their rights would be like arguing for Leprechaun rights or Werewolf rights. Americans complain about being “gypped” when they get a bad deal, and they don’t even understand they’ve just used a form of that racial slur. I’m not Roma. I don’t have Roma family. I don’t have Roma friends. But that name in Pacific Rim pissed me off enough that it spoiled what was otherwise a fantastic film. (I’ll be posting a review tomorrow or the day after.) Roma already face severe discrimination abroad. Is it too much to ask Americans to start paying attention to what’s happening elsewhere in the world? Scratch that–to what’s happening even here in America? Apparently, it is. Apparently, minorities are only worthy of notice if there’s enough of them to be politically relevant. And that’s just enormously disappointing. I saw this same thing several years ago on Roger Ebert’s blog, when he used the word “midget” and a reader called him out for hate speech. Ebert (and most of his readers, and most of America, including me) had no idea that midget was considered hate speech–it was just a word that we used, with no derogatory intention behind it. Another reader pointed out that his daughter, also a little person, was getting into fights on the playground every time another kid said “midget,” and they eventually realized that outside of the little person community, nobody knew that the word was considered a slur; the problem wasn’t hatred, it was poor communication. Since reading this story, and the conversation that followed, I’ve tried to avoid using the word and to educate people who use it, and I can certainly sympathize with your experience here, because it’s very hard to convince people that a word they don’t think is rude is actually super rude. Some of the most kind, progressive, enlightened people I know use the word “midget,” and it’s mind-boggling to them that anyone would be offended because they would never in a million years intend it as an offense. That, more than anything, is what you’re seeing with the word “gypsy.” And while it may be painful for you to hear it, I think your anger over the issue is misplaced. To accuse your readers, or America in general, of hating the Roma just because they didn’t know “gypsy” was an offensive word, is probably very satisfying to get off your chest, but I don’t think it’s as helpful in the long run as simply explaining the situation calmly. That guy on Ebert’s blog was a great example for this: he was offended at first, but when he realized the problem was communication rather than hate, he backed off and started communicating. He didn’t put people on the offensive, he just explained the situation and the word’s connotations and we all came away wiser. I guess I’m not really angry at my readers–or Americans–although I can see that’s how this came out. I’m frustrated more than anything, because it’s something that I’ve talked about before, again and again, but it’s not something people pay any attention to. Sooner or later, you get fed up trying to say it nicely, and you resort to yelling for a bit, just to feel better. Then again, I *have* explained the term calmly on my blog before. Not that Mr. Del Toro would have read it, but still. It didn’t feel right to me to just re-link the post where I discussed it. This was a big enough use of the word that I felt like it needed its own post. The sad thing is that this new post has fallen off into the ether of the internet just as quickly as most posts. We’re not all Roger Ebert, able to raise awareness of an issue with a few key clicks. Until more people start hearing this message and taking note of it and start educating other people, nothing’s going to change. I don’t think I’d be as upset if people at least recognized that Roma were real and had real issues. That post by the guy who thinks they don’t exist? That really got under my skin. It’s been a long day, and not a very good one–not because of this issue, but because of other things going on in my life I can’t get into at the moment. I apologize if this post came across too harshly. Thanks for this post, Bryce. I had no idea I was being racist when I called the taxis in the city that were unmarked “gypsy cabs.” I thought it was okay. Or saying I was “gypped” I thought they were just words that everyone used because we hear them a lot, not slurs. No worries, Bryce. I hope tomorrow’s a better day for you.